What is a DA Form 5513? A fillable DA 5513 is also known as the Key Control Register and Inventory Form. It is used by the US Army. 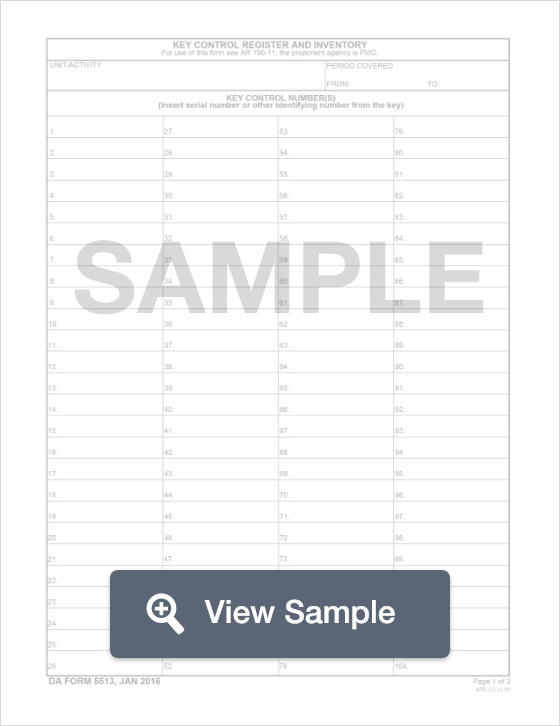 The numbers recorded on this form are identifying numbers for equipment. For example, the form could be used to record the serial number of equipment provided to a unit. It also documents the date the equipment is issued and to whom it was issued. 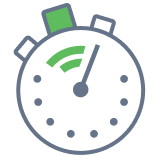 Depending on the equipment, it may also document the date that the equipment must be returned. The individual who accepts the return of the equipment must also be listed on this form. This form will be used by the United States Department of the Army. The DA Form 5513 is known as a Key Control Register and Inventory form. It is used to keep a record of Key Control Numbers in a certain Army unit. These numbers could be serial numbers or another type of identifying number assigned to a piece of equipment. In addition to the numbers, the form will include the name of the person that the equipment was issued to, and the date it was issued. When it is returned, the name of the person returning the equipment as well as the date of return will be listed. The name of the person accepting the return will also be included for the records. Create a free DA Form 5513 in minutes with our professional document builder.